This jacket is made of Gore-Tex® Paclite® and is ultra lightweight (300 g in size L) and has a lot of technically advanced features. The unique design provides for a minimum of seams and is therefore highly compressible. The breast pocket is used for storing small items and is provided with a waterproof zipper. 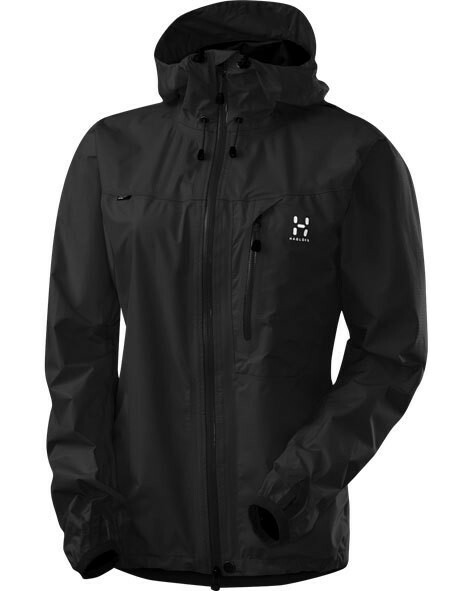 Even the 2-way front zipper is waterproof and equipped with internal cover. The seamless shoulders prevents unwanted friction. In addition, ensures that Gore-Tex® Paclite®, which is masked with a narrow tape for smooth seams.